1 Bedroom apartment 90 sq. m with fully fitted kitchen. 1 King Size Bed + 1 Sofa-Bed. Fully furnished with widescreen flat TV, fridge, microwave oven. Coffee Machine. Electric Kettle. Rice Cooker. Dining Area/Dining Table. Safety Box. Large Balcony. Recently Renovated Rooms. Hotels will usually charge at least twice as much to provide the sames facilities in Downtown/tourist area! Hi-Speed Wireless Internet. * Large air-con. 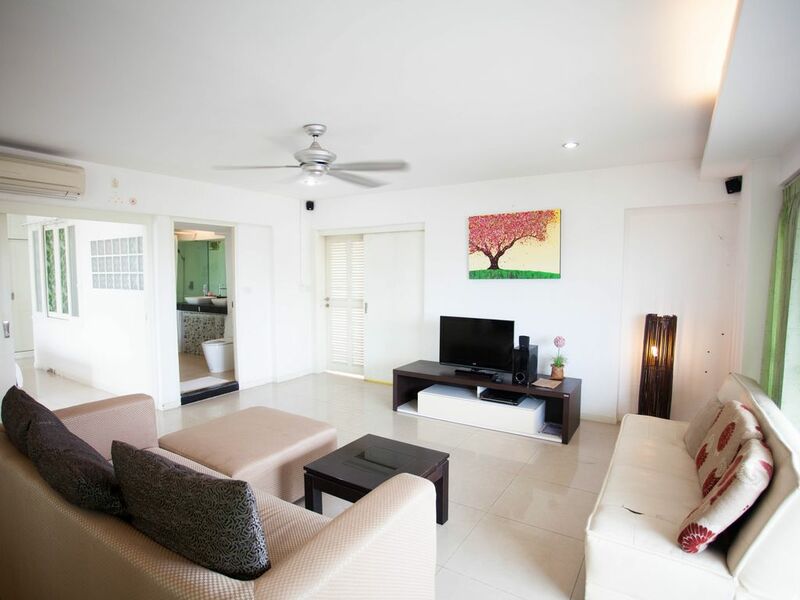 room fully furnished with widescreen flat TV (HBO, News/Sport Channels,...), fridge and phone. Balcony. * Marble bathroom with bath tub in every room. * 24-hour Security &amp; Caretaker Service. * Coffee Shop, Restaurant and Internet Cafe. Rented on daily, weekly and monthly basis. The quality of an international class hotel for the cost of an apartment. DAILY RATES INCLUDE: AMERICAN BREAKFAST, LINEN CHANGE AND ROOM CLEANING (Daily rate: daily / Weekly rate: 3 times per week). The GALARE THONG TOWER Condominium is situated in a quiet and remote area, a 15 minute walk to Chiang Mai Night Bazaar, main tourist/shopping/entertainment centre. Access is easy from Chang Klan Road. Access to entire private apartment. -24/7 Reception for check-in (receive key). -Personal check-in/introduction to the apartment from 12:00 Noon to 05:00 PM except on Sundays. -Caretaker/steward from 09:00 AM to 05:00 PM except on Sundays. -Maintenance from 09:00 AM to 04:00 PM. on weekdays (except Sat-Sun). -Tour arrangements from 09:00 AM to 05:00 PM except on Sundays. -DAILY RATES INCLUDE: AMERICAN BREAKFAST, LINEN CHANGE AND ROOM CLEANING (Daily rate: daily / Weekly rate: 3 times per week). -Electricity is NOT included in monthly rate. For electricity usage, charge of THB 5 per unit will be charged. (Approximately USD 20-80 per month depending on consumption).